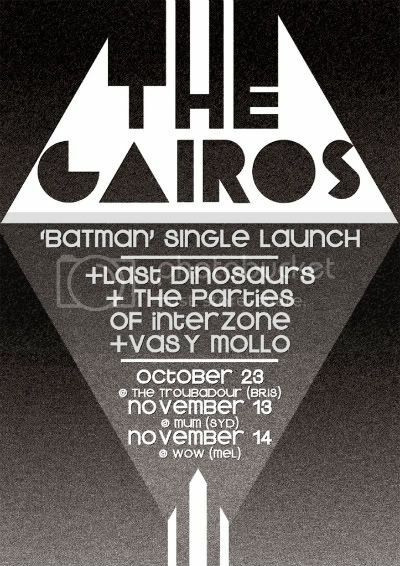 This Friday, The Cairos are releasing their first single BATMAN from their Lost At Sea EP at The Troubadour. The band have recently been gaining attention nation wide with recent supports with The Temper Trap, Wolf & Cub, You Am I and Powderfinger. The launch of this hands down crowd favourite is set to be a killer show with support from three of Brisbane's favourite indie gems: Last Dinosaurs, The Parties Of Interzone and Vasy Mollo.